Our age is nothing more than a simple number and we should always define ourselves by how young we feel on the inside. It can’t hurt to keep our outside looking as young as we feel though, right? With that in mind, Sisley’s October Beauty Subscription is “The Anti-Aging Collection” to keep your skin looking every bit as youthful and radiant as you feel on the inside. Featuring the latest advancements from Sisley’s research and development team, you may find that the “Anti-Aging Collection” becomes your new “must-have” collection. This box is $10 a month, (pay upfront 6 months for $60). Check out all of our Sisley Paris Beauty Box reviews and our Beauty Subscription Boxes for similar boxes! How do subscribers rate Sisley Paris Beauty Subscription? Do you subscribe to Sisley Paris Beauty Subscription? Add your rating now! I just splurged and bought the Champaign body cream from, I think it was the July box. Hands down most expensive body cream I’ve ever bought, but I truly fell in love. Got it on online from another dept store so I didn’t get points but it was still $76 and even that was about a $26 savings. Loving the foundation samples I just got from my Sept box right now though. 0.05 ml?! That’s like an empty tube! You’d get more in a jar sample from Sephora for free! I don’t get the hype, they are one time use samples for $60.. I mean how are you supposed to know how your skin is going to respond with a half of a milliliter of product applied one time??.. I really wanted this until I saw the size of the products and I hope they read these comments..
At $60 for a 6 month subscription, that averages out to $2 a sample since you get 5 per month. It’s actually a bargain based on Sisley prices for the full sizes. 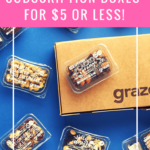 I’ve found several new products from trying this box that I purchased in the full size and imagine I will continue to subscribe to the box as long as they have one. Where did u get a free la mer sample? I always go to the counter and they hate giving them! Wow… everything from the Sisleya line? I can’t wait to see the value of this box! I’m really looking forward to this box. I redeemed my points to get an extra subscription. I can’t wait to try these out. This month’s box is an amazing value. Yay! I’ve had several of these items before and they are great!! Love the eye cream. I wish I could just buy 6 of this box instead of 6 months! Swoon! 😀😀😀 I love when. I love when a box brings that sweet satisfaction!! Me too!! I really like this line from Sisley. I’d resubscribe for this if the subscription term weren’t 6 months.